Look at this FANTASTIC Personal Lease Return that we just got in here at Auto Group of Louisville. This 2018 Cadillac XTS Luxury 3.6 is well equipped and is the definition of American Luxury! Great features of this Cadillac are Heated and Cooled Front Seats, Heated Steering Wheel, Heated 2nd Row Seats, Navigation, OnStar, Remote Start, Keyless Entry & Start, AndriodAuto and Apple CarPlay Capable, Front and Rear Parking Sensors, LED Headlights, LED Daytime Running Lights, Configurable Digital Dash, AM/FM/XM/CD/MP3/Bluetooth Cue Informant System, Back-Up Camera, Memory Seats, and so much more. 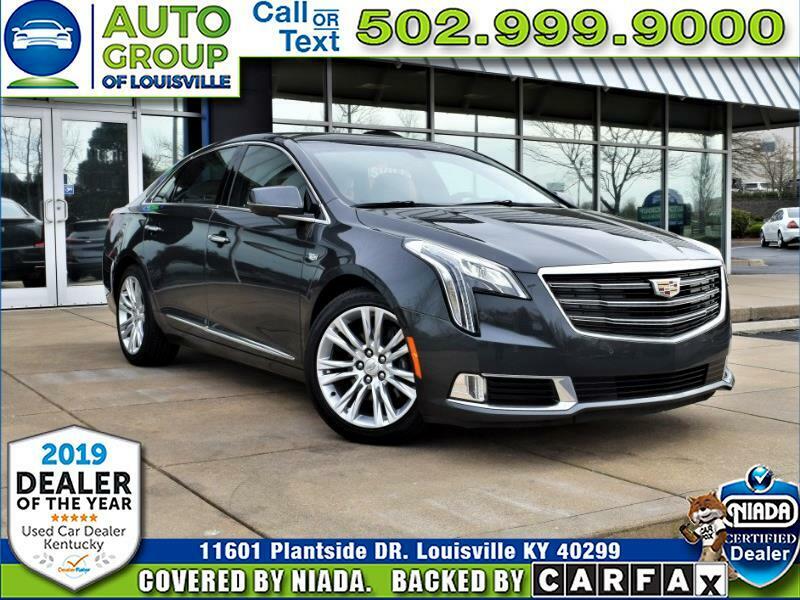 Hurry by 11601 Plantside Drive in historic Jeffersontown Kentucky and experience the pampering of this Cadillac XTS today before someone else takes it home with them!